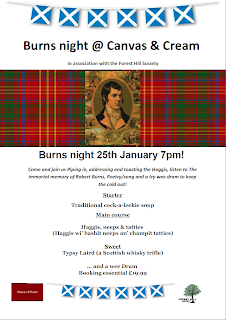 As has become the custom, we will be celebrating Burns Night for our January social event. Everyone is welcome. 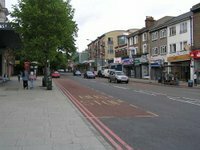 The venue this time will be Canvas & Cream (18 London Road, SE23 3HG) and the cost is £19.99 for the traditional three course meal and a wee dram. A vegetarian option will be available. Come along at 7pm as ceremonies will commence at 7:30. We are arranging a great evening of entertainment for you. 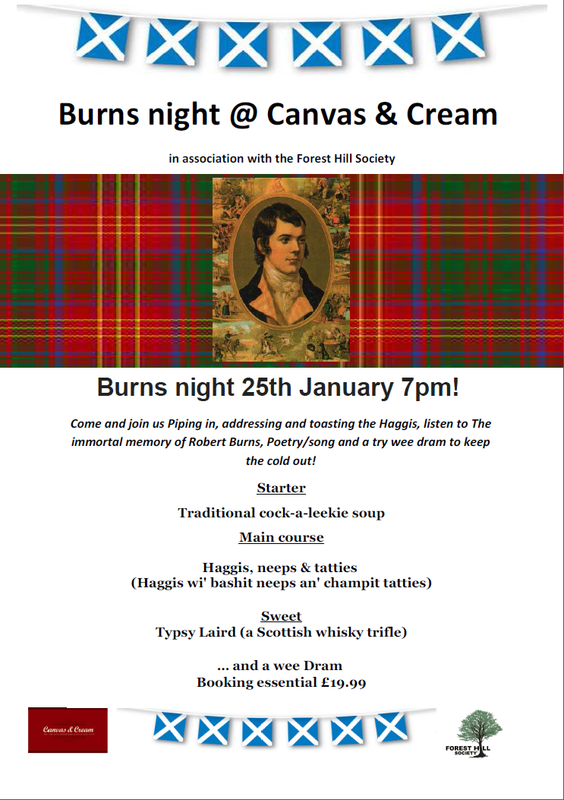 There will be the traditional Address to the Haggis and a chance for people to read some of the Bard's poetry as well as a couple of surprises (if everything works out). Feel free to bring along something to read yourself and don't feel shy! 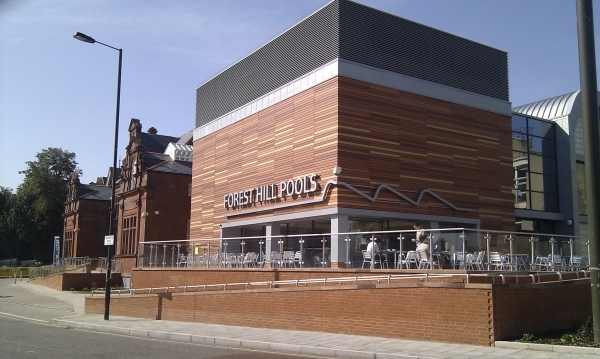 It would be lovely to have as many people from Forest Hill (and Sydenham!) there as possible, so hope to see many of you, new & old to the area, on the night. The event is open to all (sassenachs, members and non-members alike).